Essential oils are popular in aromatherapy and stress management. We can also find plenty of essential oils used in body care products and cosmetics like body wash, soaps, shampoo, lotion, body and facial scrub, lip gloss, perfume and body mist. It�s hard to go wrong with these natural beauties but in order to maximize their use, it's best to find essential oils for skin conditions and skin types that match yours. Yes, there are essential oils for every skin type and condition and if you have difficulty finding them in commercial skin care products, you can always make your own concoctions. You�ll be surprised how easy it can be to make these products yourself. Aside from your favorite high quality essential oils (no synthetic fragrance oils please), you will need some tools and ingredients like measuring spoons, bottles, piping tubes, vegetable glycerin and carrier agents. Often, these are available from online or brick and mortar craft stores, health food stores and drug stores. But before checking out recipes to try, read on for information about essential oils and the skin types and conditions they can best address. Not producing enough oil can be problematic for the skin. Yes, African Americans are challenged with dry skin. Aside from the parched, tight feeling, dry skin is prone to psoriasis, dermatitis, eczema and early signs of aging. To manage dry skin, use Geranium, Cedarwood, Clary Sage, Ylang-Ylang, Neroli, Rose Otto, Patchouli, Myrrh, Rosewood, Sandalwood, Jasmine, Lemon, Chamomile and Lavender. 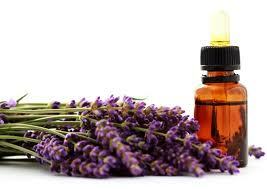 Note that some of the essential oils mentioned are also good for other skin types, especially Lavender and Geranium. These two are so versatile, they work wonders for practically all skin types and treats various skin problems. As people of color, oily skin is usually the reason behind pimples and acne since excess oil is a culprit in breakouts. The best essential oils for oily skin are those with potent antibacterial and balancing properties like Tea Tree oil, Lavender and Rosemary. You can also use Cedarwood, Lemon, Peppermint, Lemongrass, Bergamot, Fennel, Geranium and did I mention Lavender. Don�t worry about putting essential oils on an already oily face. They are actually plant extracts and do not possess the greasy property of real oils. However, you will need to dilute them using a carrier oil, such as Jojoba oil before applying them directly on your skin. It�s easy to find these essential oils used in body care products for oily and acne-prone skin, especially Tea Tree oil. Aside from the ever skin-friendly Lavender and Geranium, normal skin will appreciate some Neroli, Jasmine, Roman Chamomile, Ylang-Ylang, Orange, Cedarwood and Rosewood. Make your own facial wash, facial exfoliant, toner and moisturizer using these essential oils. A few drops is all you need for every product or application so expect to have the bottle with you for a long time. Some essential oils last for as long as five to ten years. Of course, you can always use them for aromatherapy and stress management. Not only are they are good for your skin, they are great stress relievers too! Sensitive skin unfortunately has fewer options but since these options include Lavender and Geranium, they are assured of easy-to-find, affordable and effective essential oils. Not to mention they smell great. Pricier alternatives for sensitive skin are Rose, Jasmine and Neroli. Remember to dilute essential oils with carrier agents, such as Jojoba oil, since they are too potent in their pure form, especially for delicate skin. As we mature, our skin becomes less elastic and more prone to fine lines. The type of skin, amount of sun exposure, genetics, stress and several other factors contribute to aging. To keep your skin looking young, essential oils can help to an extent. Lavender and Geranium are, again, the trusted essential oils for skin conditions and skin typesof every kind including maturing skin. You can also try Myrrh, Frankincense and Ylang-Ylang as they help maintain elasticity. Fight wrinkles with Clary Sage, Cypress, Lemon, Orange, Patchouli, Rosemary and Sandalwood. Wounds, burns and other damaged skin conditions can benefit from essential oils, too, particularly those with antibacterial, soothing, anti-inflammatory, antiseptic and analgesic properties. Disinfect with Tea Tree oil, Oregano or Thyme and/or reduce bleeding with Geranium or Rose Otto. Elemi and Myrrh are good for infected wounds also. To speed up healing, apply some Tea Tree, Melrose (a YL blend), Rosewood or Lavender. Several essential oils are actually good for damaged skin so it�s best to have them on hand and ready in your first aid kit. Eczema is a nasty medical condition characterized by rough and inflamed skin. The redness can be upsetting but the itch can be agonizing particularly for children. Diet plays a role in managing eczema but essential oils can help too. If you or your loved one suffers from this skin problem, try Geranium, Lavender, Patchouli, Myrrh, Rose, Violet, Birch or Sandalwood. Interestingly, these essential oils are also known for relieving stress, another eczema trigger. So aside from skin application, you can use the oils for aromatherapy and stress management. The essential oils mentioned above offer you the opportunity to treat your skin naturally, whether in products you purchase or make yourself. The key is to arm yourself with as much knowledge as possible before working with them. While essential oils offer you a variety of ways to assist you in relieving skin challenges, when not used properly, they can add fuel to the fire. Always dilute your essential oils with jojoba, olive, grape seed or Shea butter oil before applying them to your skin. You can actually blend them into water, this makes a great skin toner as well as a wonderful room freshener. While these essential oils are mentioned as individuals, some of them might not appear as a likely candidate for a given skin condition. It�s the ability to blend them with each other that allows them to perform their magic. Try them, your skin will thank you for it.